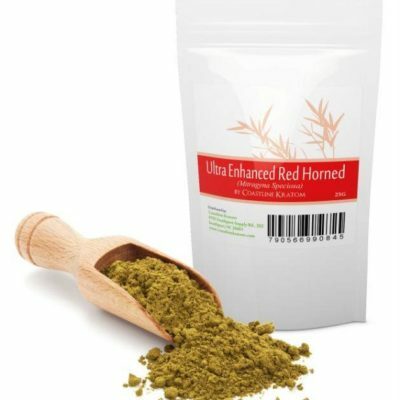 Our White Vein Horned Kratom is a new addition to the kratom family. It has an energizing and stimulating scent. The leaves are dark green with a white vein running through them. White Vein Horned has a bright green hue when the leaves are crushed. The “white” in White Vein refers to the colors of the veins in the plant, not to the color of the powder itself. Other products you might be interested in include: White Kratom Pack, Red Vein Maeng Da, and White Vein Bali.